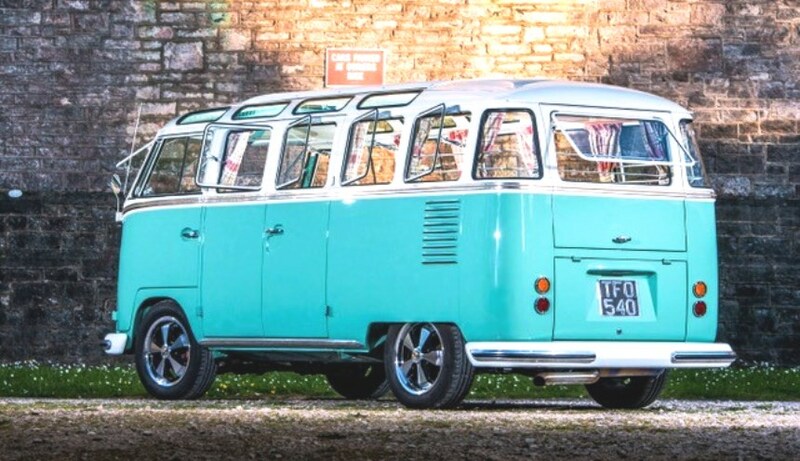 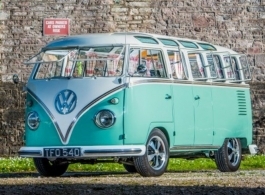 Classic 1961 Splitscreen VW Campervan for wedding hire in Torquay, Devon. 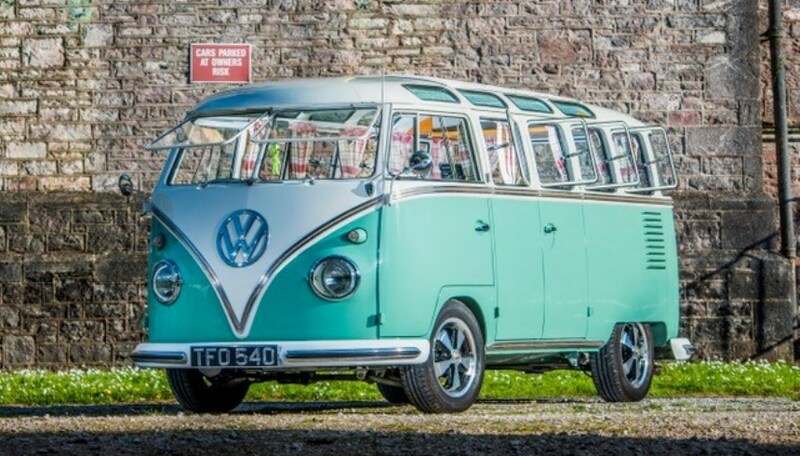 Splitscreen Campervans are a fun, unique and increasingly popular mode of wedding transport for weddings and this superb example is available for weddings in Torquay and all surrounding areas, it can also travel a little further afield. 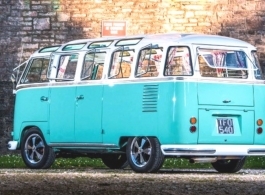 This Campervan is a 23 window Splitscreen Samba with cool front safari windscreens that can be fully opened - great for photos.